Originated in Scunthorpe in 1966. The band had evolved from The Dimples, a group who had recorded for Decca in 1966 releasing a single that year. 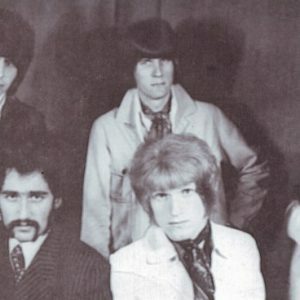 The band became Gospel Garden in late 1966 under the managerial guidance of Peter Stringfellow (infamous nightclub manager). They had previously been contracted to Don Arden (Small Faces, etc..) as The Dimples. Gospel Garden visited the Radio Craft studios in Huddersfield. Radio Craft studios was set up and supervised by Mat Mathias, a German engineer who invented the Matamp amplifier and went on to create the world famous Orange amplifier with Cliff Cooper in London. The likes of Noel Redding recorded at this studio before becoming more famous alongside Jimi Hendrix in The Experience. 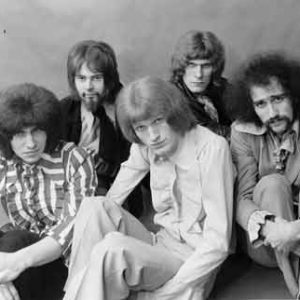 Gospel Garden recorded five songs (all band originals) at Radio Craft in 1967 and it was this demo session that took them to London to sign with Polydor records. They were now being managed by pop star, Dave Dee (DDDBM&T) and A&R man, Steve Rowland of Double-R productions. Polydor released their only single Finders Keepers b/w Just A Tear, two songs originally recorded at Radio Craft studios in Huddersfield earlier in the same year. The single was issued on the label's small imprint, Camp records, but not to any success. Gospel Garden soon split up with various members going on to form Methusaleh. 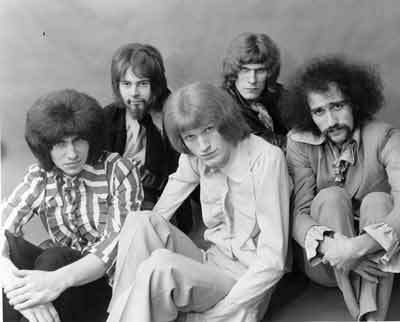 Craig Austin then formed Distant Jim (see entry) with ex-ABC (see entry) guitarist, Les Nicol (Moon, Leo Sayer) and Steve Chapman (Junior's Eyes). John Gladwin and Terry Wincott formed Amazing Blondel. Drummer Mick Bradley had joined Gospel Garden having previously played with The Sorrows (Pye recording artistes). After Gospel Garden split, Bradley went on to join Steamhammer. Geoff Eaton Tindle had previously played in The Savages with Lord Sutch and a band called The Primitives (an Oxford band). John Gladwin (vocals), Geoff Eaton Tindall (guitar), Craig Austin (bass guitar), Terry Wincott (guitar, vocals), Steve Cox (drums), Mick Bradley (drums). All recorded and photographic material submitted by Craig Austin, John Gladwin. 2012. All recorded and photographic material copyright: C. Austin, J. Gladwin. 2012. Special thanks to: Craig Austin, John Gladwin, Jeff Lewis (Matamp).